Cutting diamonds into an emerald shape dates back to 13-14th century when diamonds were beginning to make its way to the popular culture. The modern emerald cut diamond has 58 facets, roughly 25 on the crown, 25 on the pavilion, and 8 on the girdle with 3 rows of bottom steps and three rows of top steps. These luminous gems feature step-cut (or trap-cut) because it has rows of facets which is different from other fancy cut shapes. These facets are arranged in rectilinear style parallel to the girdle, typically in a staircase form, hence the name step-cut. Usually, the corners of diamonds are the weakest points for a typical stone, but emerald cut diamonds beautifully addresses this concern. In addition, the emerald cut diamond features a keel running through the pavilion terminus which is not available in other diamond cuts. During the Art Deco period, many of the antique jewelry pieces featured step-cut styles which is why today diamond lovers are keen to recapture the aesthetics of that time period. If you love the classic style typically found in antique jewelry, choosing an emerald cut diamond wont be a bad idea. 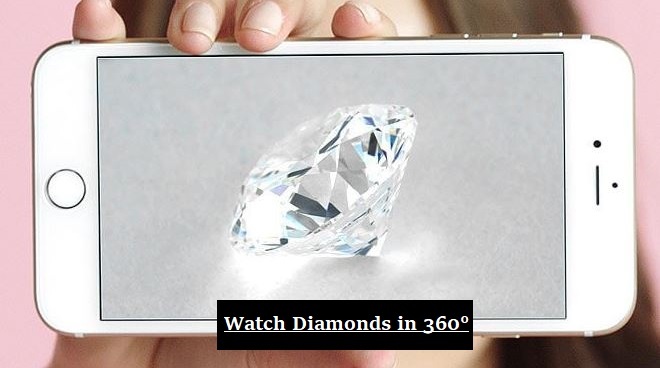 What we find very useful is to play with James Allen's 3D Video Technology and compare the 360 degree videos of different emerald cut diamonds to figure out how the following proportions as well as different length to width ratios affect the visual appearance of a stone. Try to play with their filter to get a good sense of what to prioritize in terms of cut. The chart above serves as a general guideline when evaluating the cut of an emerald cut diamond. The length to width ratio of 1.50 is considered the classic cut for a rectangular shaped emerald cut diamond. However, the recent trend is towards a more square shape with ratio of 1.30. Consult with Petra Gems for precise measurements and length to width ratio of these elegant diamonds. Just like evaluating the color in other diamond shapes, color in an emerald cut diamond is critical. The higher the color grade, the better. In our experience, many buyers prefer the warmer colors over the colorless colors given the difference in price. In the color spectrum, the warmer colors refer to the near colorless range of G-I color diamonds while the colorless colors refer to D-F color diamonds. The price premium for a lower color grade emerald cut diamond would be significantly lower. Since the body of emerald cut diamonds is large and contains open facets, choosing a higher color grade is recommended when buying an emerald cut diamond. For more detailed information on the color of emerald cut diamond, use the table below. Since Emerald cut diamonds have open facets, it is recommended to buy a slightly higher clarity emerald cut diamond. Each of our customers have a unique standard for clarity and color. 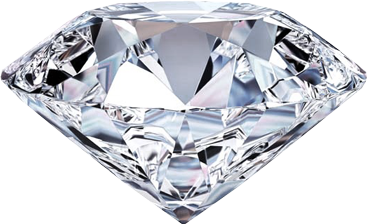 Some of our customers want a flawless diamond while others are perfectly comfortable with inclusions as long as they are not noticeable to the naked eye. GIA provides excellent help with their clarity grades, so you can use it to choose an emerald cut diamond that will meet your standards. SI1 would be a great balance of price and appearance in an emerald cut. You can also consider buying VS2 for a comparable choice.